BREAKING NEWS: I’ve decided that Orange Juice Waffles are the best waffles in the world. They’re crispy outside, tender inside, and fabulously infused with a sunny citrus scent. Need a good reason to drag out the waffle iron you haven’t used since 1992? This recipe is for you. Did you know that there are two ways to achieve light, crispy waffles? 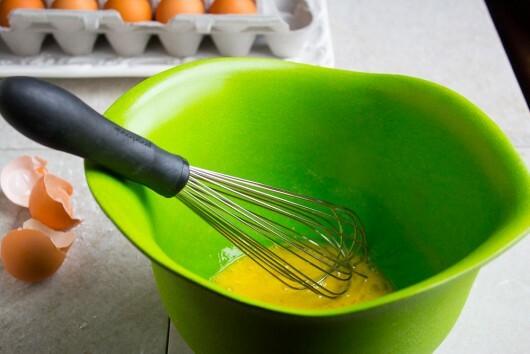 The Herculean way: Beat egg whites to stiff peaks, and gently fold them into the batter. The Kevin way: Add cornstarch to the batter. That’s right — after numerous waffle-making experiments, I’ve concluded that common cornstarch is as good as beaten egg whites when crispy waffles are desired. 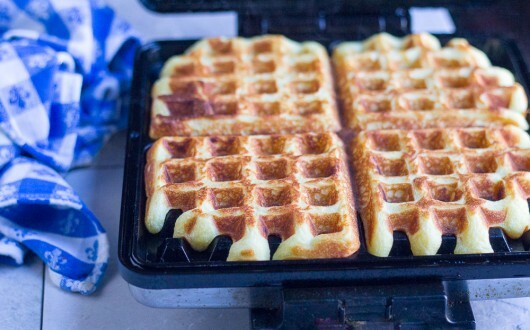 Cornstarch has the unique ability to absorb steam in the waffle iron that makes waffles limp and soggy. Soggy waffles are awful waffles. So to make your life easier, you’ll find the addition of cornstarch in this recipe. You can thank me later. 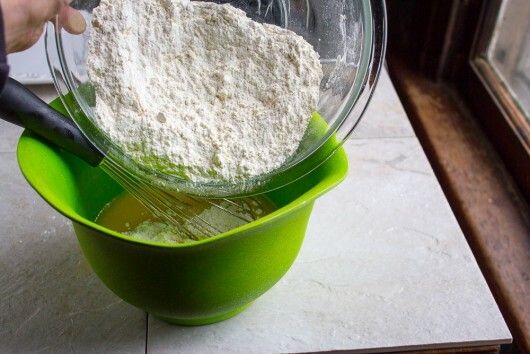 First, put 2 cups self-rising flour in a medium bowl. 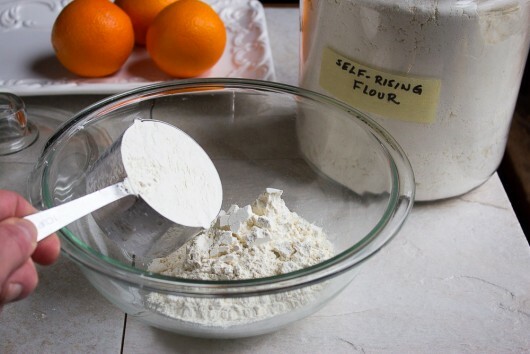 If you don’t have self-rising flour, just whisk together 2 cups all-purpose (a/k/a “plain”) flour, plus 4 teaspoons baking powder and 1/2 teaspoon salt. Also, add 1/2 cup cornstarch. If you can find organic cornstarch, by all means use it. Then grab an orange, and, purely for the sake of picture-taking, balance it on a microplane zester. And 1 3/4 cup freshly-squeezed or store-bought orange juice (be sure to include the juice from the orange you previously zested). And 1/2 cup flavorless vegetable oil (safflower oil works well). And whisk or stir just until the flour disappears. Don’t worry if the batter is a little lumpy. 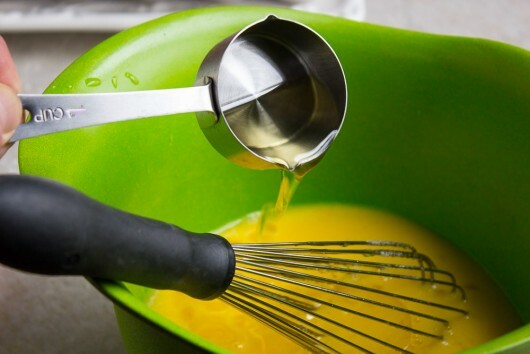 Grease or spray your preheated waffle iron, and then ladle in the right amount of batter. I can’t tell you how much batter, because I don’t know how large or small your appliance is. In general, use less batter than you think you’ll need. Close the iron, and bake the batter for its recommended time — usually about 4 minutes. The fragrant steam that escapes from the iron will delight your nose. You’ll work up a real appetite. Now put 1 or 2 waffles on a plate, and add a knob of homemade butter. If you’re like me, you’ll want to add some warm maple syrup, too. Maple and orange go together like love and marriage. Or a horse and a carriage. And by the way, these waffles ain’t just for breakfast. They’re perfectly perfect for dinner and dessert, too! For dinner, you might top them with fried eggs. For dessert, plop some orange sherbet on top. Or, smother ’em with an ungawdly amount of whipped cream and strawberries. You know you want to. These waffles are light, crispy, and perfectly perfumed. They're also lactose free, because orange juice replaces the usual milk in the batter. Serve them for breakfast, brunch, lunch, dinner, or dessert! Preheat the waffle iron. 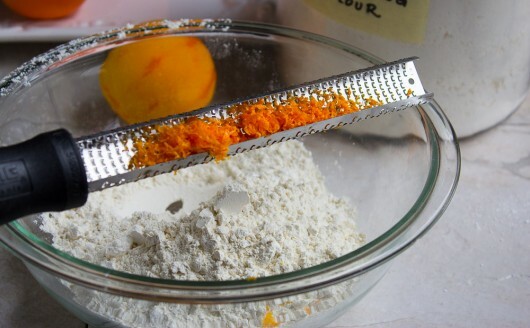 In a large bowl, whisk together the flour, baking powder, salt, cornstarch, and orange zest. 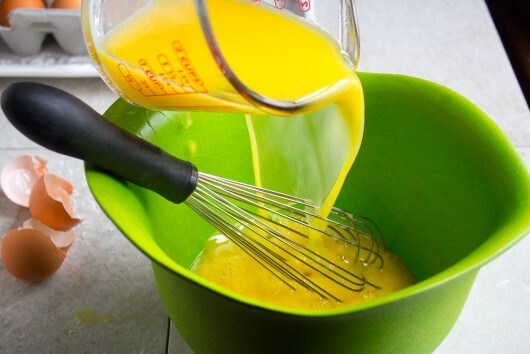 In a separate bowl, whisk together the eggs, orange juice, sugar, and oil. 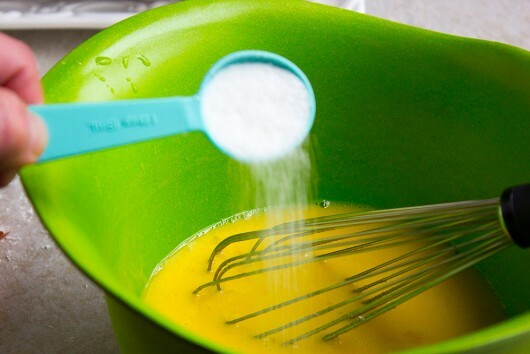 Tip the dry ingredients into the wet, and whisk or stir until the flour disappears. The batter will be somewhat lumpy. Ladle the batter onto your preheated waffle iron, and bake according to its directions (usually about 4 minutes). Serve immediately with homemade butter and pure maple syrup. Or, keep warm on a baking sheet in a 200°F oven. Cooled waffles can be frozen. Reheat in a 400°F oven for about 10 minutes. I can’t remember the last time I made waffles, but let’s just say it’s been awhile. These look too delicious not to try. On my weekend menu. Thanks Kevin! I love anything with orange. Off to find my waffle iron, which, as you intimated, hasn’t been used since 1992! I always wanted a waffle iron and never bought one. This recipe is so enticing I may have to get one. What a great trick with the corn starch. I love the photo of the tightrope-walking orange. You’re worth your weight in gold, over and over. I love to have waffles on Sunday nights. This is definitely happening! Will try soon as a friend has given me oranges from her tree! 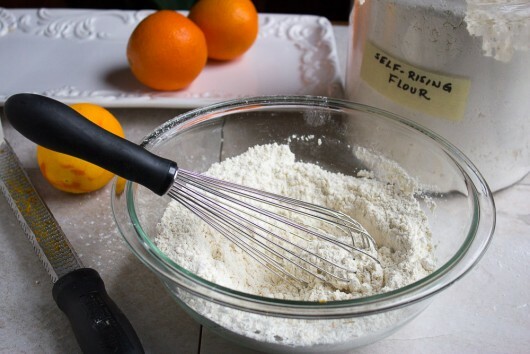 I see NO reason to pay exorbitantly for self-rising flour as it is so easy to make–as you showed us, too. 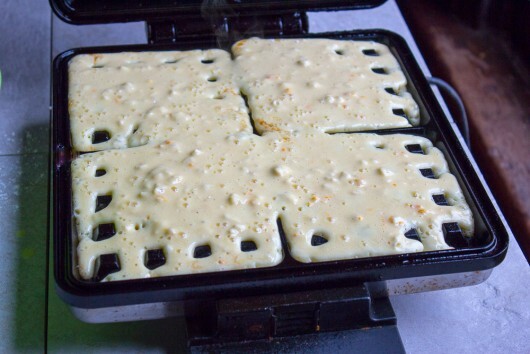 My waffle iron gets lots of use and I have several good recipes that do not require egg separating, etc. And I use whole wheat pastry flour or a combo, including corn meal for crispiness. One recipe is mixed the night before and rises beautifully. Yum in the tum! Sounds delicious and fun. Any recommendations for waffle iron brands, models, etc? We have grandkids with cow milk protein allergies, so have been making OJ waffles for years. We’ve now firmly established waffle Sunday as routine and have moved on to sourdough waffles. Sunday mornings were taking forever to feed kids and grandkids (9 of us altogether) so my husband splurged on the kitchen aid double Belgian waffle maker. It is truly fabulous! My waffle iron mocks me every time I spin the lazy susan cupboard around where it lives, reminding me I haven’t used it in more years than I can recall. This looks worthy of bringing the poor dear out of hiding and the orange flavor sound fabulous. Thanks as always for great recipes and fun reading! I made these for dinner on Wednesday night. My husband pronounced them “crunchy scrumptious!” Well done, Kevin! I loved them too. They smell & taste divine and are indeed very crunchy. Thanks! I’m in heaven!! We absolutely love love love waffles of all kinds. 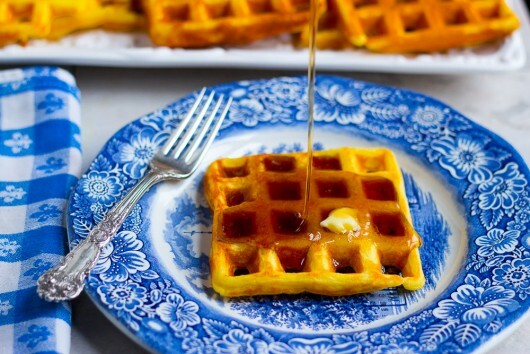 Orange juice waffles sound outrageously yummy! Have to try this on my grandkids…. AFTER we sample some ourselves! Our waffle iron is well used around this house. We have a round one (Belgian ) I think. Any recommendations on a square one like yours? I’m digging out my waffle iron too. I have the fancy flip kind and still I STORE it on a lonely shelf, shame on me. 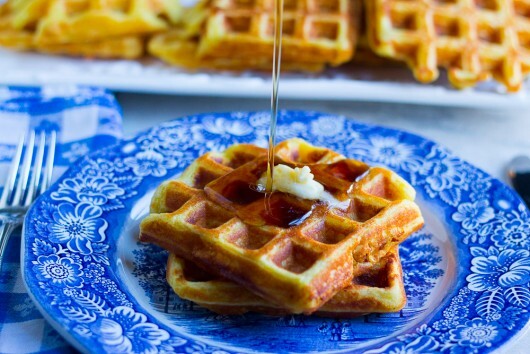 These waffles sound like they are calling my name. Thank you. Here is a hint that has nothing to do with waffles but your cornstarch trick reminded me about my green beans: Fresh beans and 1t baking soda in water. Cook to your desired liking….BEANS COOK FASTER and are bright green, with the baking soda. This recipe sounds delicious! I don’t have a waffle iron and am wondering if this batter could be used to make pancakes. Thoughts? Hi Karen and Roberta – I can’t recommend a waffle iron just now, because mine is 20 years old! It’s a Cuisinart model that makes 4 4-inch waffles at a time. Hi Marjean C. – So glad you tried — and liked — the waffles! 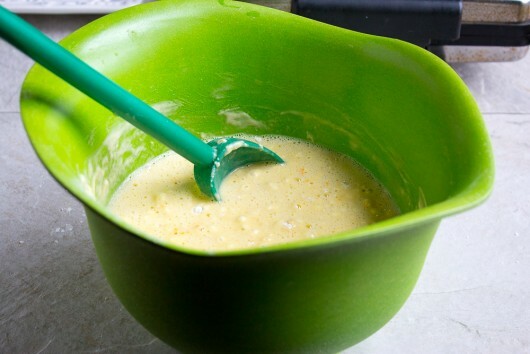 Hi Elliot – I can’t say for certain, but if you omit the cornstarch, and if you reduce the baking powder to 2 teaspoons and the oil to 2 tablespoons, this recipe just might work for pancakes. If you give it a try, I hope you’ll let me know the results! On my menu for Sunday. I can’t wait! I made these this week. Delicious! I had some pears on the counter that were perfectly ripe, so I topped the waffles with maple yogurt and pears and they were fabulous! Thanks for all the scrumptious recipes you post! Hi Theresa – So glad you liked the waffles! The pear and yogurt topping sounds divine. Well, Kevin, I have brown thumbs and although I’ve managed to keep our house plants alive in the five years since our move from the UK to Florida, I don’t think I’ll be doing any outdoor stuff (it’s all the sand, you know)- but it pleases me to see how beautiful yours are. Like others who have written, I haven’t had or made waffles in years (my mother offered me her waffle iron when I left home over 50 years ago but I declined.) Now, in order to make your delicious-sounding waffles (which I’ll have to eat myself because my Brit husband will put them in the category of bread and pasta, which just take up room in your stomach which could be filled with more interesting things), I have to go to our local thrift shop and see if I can find one that works, since none of my friends/neighbors has one. Oh, well, the things we do for great food, right? After my mother’s 68 year old waffle iron died this year I treated myself to a new wonderful one and had several brunches to celebrate. Thank You for this fabulous recipe! !Have to start brunch invites again. Kevin, these waffles look so good that I want to try them soon. We are having a snow storm here at the moment and are expecting to get snow and rain mix as the day goes on. Good day to stay inside and make waffles ! These were absolutely splendid! I was going to get up early and make them for my hubby before he went to work today…Sadly for him i didn’t get up early enough. He can eat leftovers tomorrow! 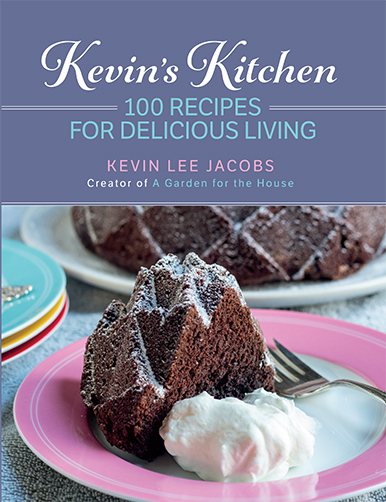 Thanks Kevin for another wonderful recipe. You are the best! I just put a link to your blog on my FB page, along with a picture of my delicious waffles. I bet you’ll get lots more hits. Are these in the promised cookbook? HI Addie – More for you! Hi Julie R – Storm is headed this way, too. Yikes. Hi Sherry – I’m so glad you liked these waffles, and thanks for linking the recipe on your FB page. 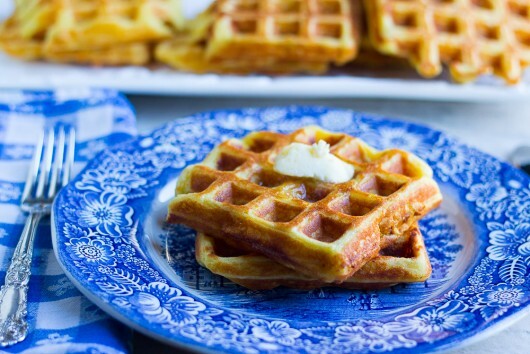 Yes, the waffles will be in my cookbook, along with a very special topping for them! I actually own 3 waffle irons, the old round ones. I also have 3 kids, so no one ever had to wait. and I beat the egg whites separately & fold into the batter. However kids are grown up and have fled the nest. I still have the waffle irons & make waffles or pancakes when they come home. 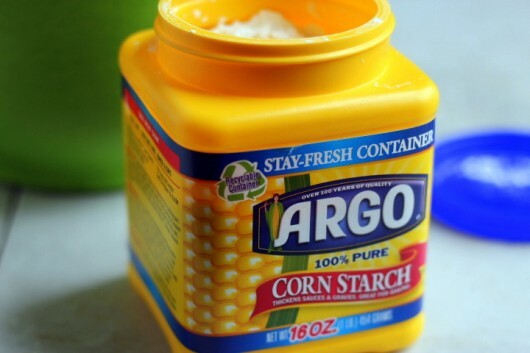 I will try using cornstarch next time. My kids also put vanilla ice cream on the waffles & then syrup, bet that will be awesome with your orange waffles. Love your site Kevin. My husband makes waffles several times a month and was a bit skeptical about the corn starch. 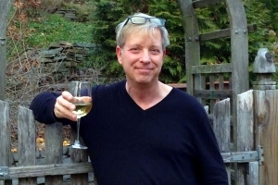 He made your recipe Sunday morning–and you have a convert! We loved them; thanks for sharing this. Hi Sandy – Music to my ears. Hi Kate – So glad you and your husband enjoyed the waffles! I’ve been thinking about these waffles ever since you posted this, so today was the day. Grandkids had a sleepover last night so they both enjoyed them and hubby was delighted — kept saying “you never make waffles and I like them so much” which is true. And thank you for putting in the “usually about 4 minutes” timing reference — my waffle iron was my mom’s and has no directions attached and I would have been completely clueless. (It actually has a light system on the cover that I suspect is intended to indicated readiness, doneness, etc. but it’s unfortunately not intuitive at all so was of little help.) In fact, 4 minutes DID prove to be just about right on the money. Thanks for a delish recipe and it made plenty so we have them in the fridge to pop in the oven for another breakkie with the littles in the morning. Now can’t wait to try your English muffins! Hi Arden – So glad you tried — and liked — the waffles! Hi Christine – I want your waffle iron. We have waffles every few months, we also use our waffle maker with chocolate brownie mix, cinnamon rolls, eggs, cake mixes or just to make plain old belgian waffles. 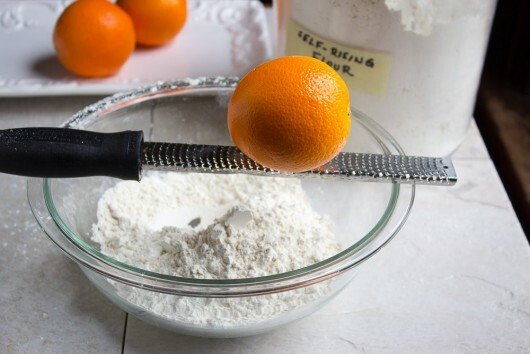 This will be great to add oranges too. I may even try a Meyers lemon for zest and raspberry syrup, I had not thought of citrus additions before- thanks! These were absolutely delicious! Looking forward to an afternoon snack today with the leftovers!